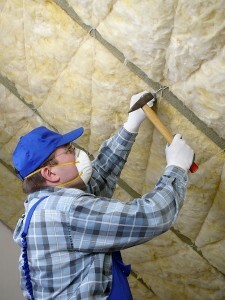 31-W Insulation is one of the leading companies offering top-end insulation products and installation services to residents of Charlotte, North Carolina. For more than 40 years, we have been serving the home improvement needs of commercial and residential building contractors as well as individual homeowners throughout the southeastern U.S. Our experienced and knowledgeable team can help you with all of your insulation needs as well. In addition, 31-W only uses its own highly trained employees to provide you with the best service possible. Unlike other insulation companies that rely on finding subcontractors to do the work, 31-W ensures the highest level of professionalism by employing and training its own team of insulation specialists. This ensures that your installation will be done right the first time, so that you can start enjoying the lasting benefits of an insulated home or building without the hassle. If you’re searching for insulation companies that can provide you with the best possible service, the company you want is 31-W Insulation. We proudly serve individuals in Charlotte, NC, and the surrounding communities.